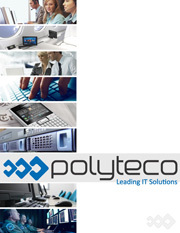 Polyteco is a rapidly-growing company with the mission extending far beyond the framework of commercial projects. In today's conditions of expanding globalization, we at Polyteco understand the importance of our social role in the society. With every order we help materialize new ideas and innovations, thus helping promote science, and the science is the cornerstone of progress. The team of Polyteco specializes on developing professional software products and consists of the best graduates, post-graduates and talented professors of National Technical University of Ukraine 'Igor Sikorsky Kyiv Polytechnic Institute' (below – NTUU 'KPI'), one of the Europe's largest tech universities.